Core Memory was the most heavily used type of RAM from the mid-1950s, all the way up until the early-1970s. Which is before even my time, if only just. So I’m not quite old enough to remember magnetic core memory in the wild. But, like a lot of other people who grew up closer to the ‘golden age’ of computing than the age the black rectangle of glass and brushed aluminium that lives in all of our pockets today, I have a soft spot for retro-computing. So the arrival of core memory for the Arduino, designed and built by Jussi Kilpelainen, gives me a warm feeling of remembering an age I wasn’t quite part of, if only just. Core uses magnetic toroids, called the cores, threaded on wires, with each core representing just a single bit of information. The cores are magnetised in two different ways, clockwise or counter-clockwise, and the bit stored in a core is zero or one depending on that core’s direction. We are restoring an Apollo Guidance Computer. After 52 years it works perfectly except for the core memory (which unfortunately is a critical component). The computer was one of the first computers built from integrated circuits, using many, many dual NOR gate flat pack ICs. Core memory is actually fairly quirky, or at least different, than modern memory. While it is non-volatile, it preserves memory contents even when power is turned off, the process of reading the core causes the core to erase itself. It’s also really rather power hungry, hilariously so compared to modern memory, and of course is rather vulnerable to magnetic fields. While the whole idea might seem, and really is, impractical there is sense in the madness of building something like this in the modern age of computing. Disregard the nostalgia for simpler times, there is a reason that so many of us, are fans of retro-computing. It’s tactile. Anything beginners do with a modern computer is almost inevitably now abstracted away from how it works. Reaching deep down into the bottom of the machine, making it do what you want, is harder. Much harder. Building, using, playing with, something like core memory is more tactile, and gives a different view of how things work than using a modern computer. It helps you get an understand what is going on inside our slabs of glass, silicon, and black plastic. One that’s hard, these days, to get any other way. Based on previous work by Ben North and Oliver Nash, Kilpelainen’s shield comes as a kit, and yes, that means that you have to self-weave the core itself. The Core Memory Shield for the Arduino cost $39.90 plus shipping and is available now on Kilpelainen’s Tindie Store. 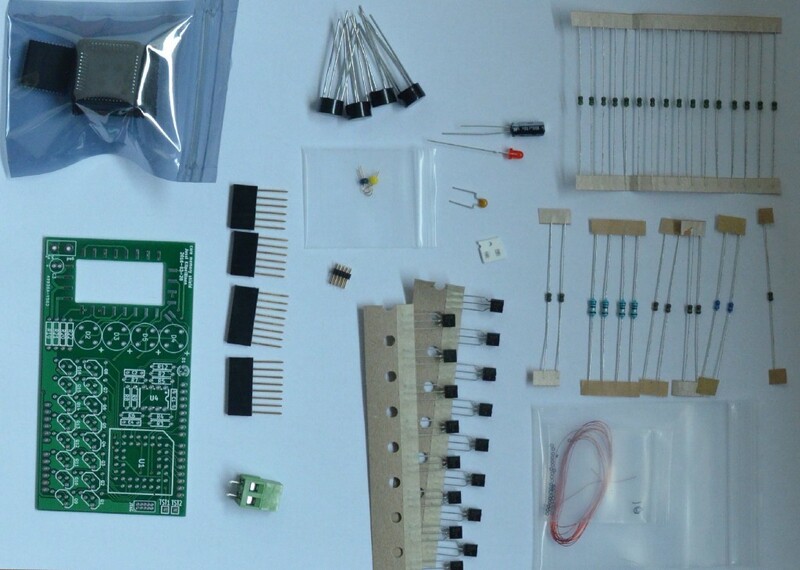 Documentation for the kit is available online, including source code, schematics and a full Bill of Materials. 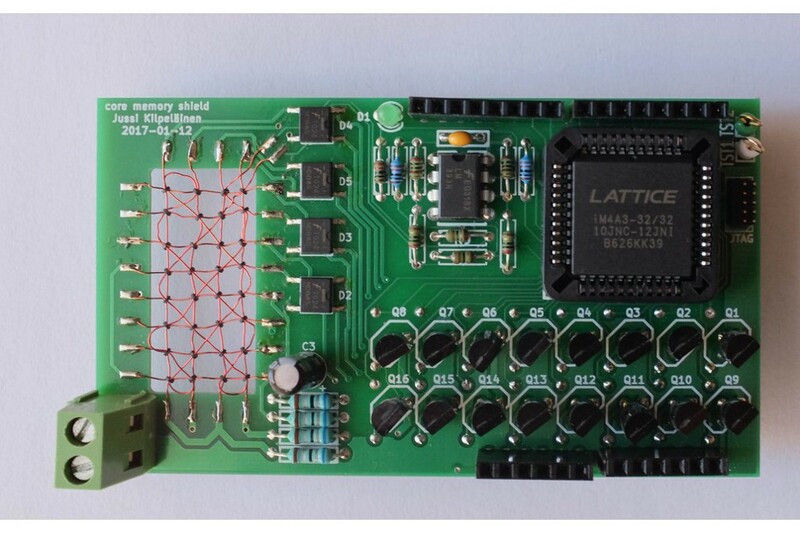 A Core Memory Shield for the Arduino was originally published in Hackster Blog on Medium, where people are continuing the conversation by highlighting and responding to this story.